Unapologetically garden-focussed again, I never noticed that apple blossom does actually smell of apples. I guess I've never been right up close and had a good sniff before, but it actually does. How about that. We planted a load of seeds, tomatoes, aubergine and chilli. The rocket we'd already planted is coming up nicely and the greenhouse is being nicely warm for them. Present and Correct posted some easter egg packaging designs of the 70s and 80s so I had a bit of a nostalgia moment. 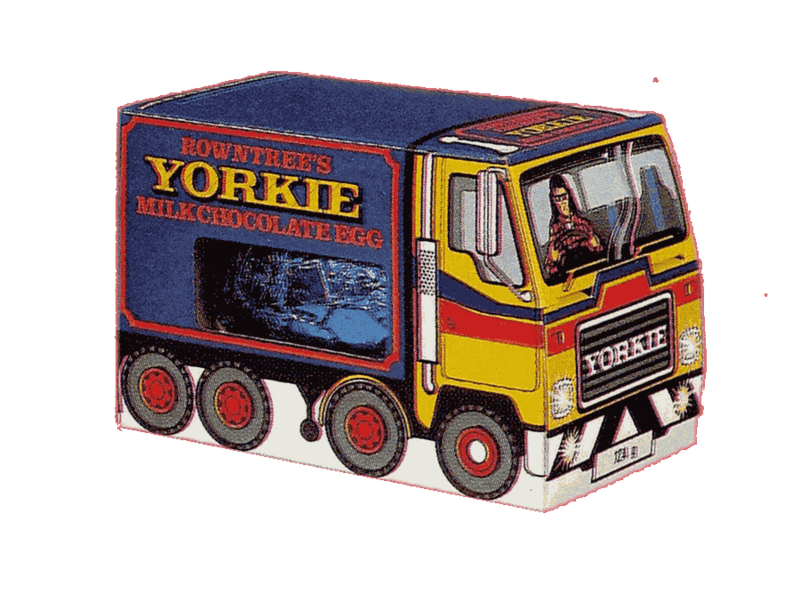 I found the Yorkie one that I'd had, which was ace. I never knew there were Caramac eggs. I used to love Caramac, but they changed the recipe (booo) and it's not as good. I also hadn't remembered how the old packaging was just cardboard and a bit of foil round the egg, no plastic at all. I miss it. I kind of don't want to mention it, but the Notre Dame thing was pretty upsetting. The international architectural competition to design a replacement spire has me worried. I've already seen a thing from Foster and Partners put forward his one idea again, replacing the roof and spire with a glass roof and spire. Darren Anderson made a good point about gothic architecture being as much about shadows as light. It's also a no-go idea as one of the biggest reasons the building survived was because of the stone vault forming the ceiling of the cathedral. Is Foster proposing we demolish yet more of the cathedral? From the sublime to the ridiculous, I found out that exercise bands really really hurt when they snap while you're using them. Looping them around a squat rack tends to cause them to fray. The replacements have a handy loop and carabiner thingy. Handy hint there. I was reminded I did a whole bunch of playing card designs that I really should get printed. I'm looking at someone like Ivory Graphics since I have no idea either way. I'll get a sample deck and see how it turns out.